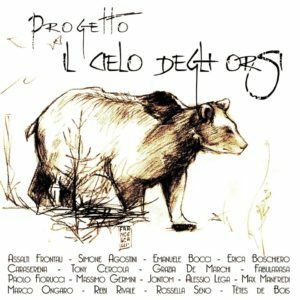 Il Cielo degli Orsi (The Bears’ Sky) is an audio CD produced by Paolo Fiorucci together with a group of singers and song-writers. 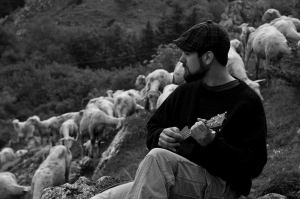 By this fundraising you can help Salviamo l’Orso to finance its conservation projects. This compilation is entitled “Il cielo degli Orsi” from a song by Paolo Fiorucci and Massimo Germini –guitarist of the famous Italian singer Roberto Vecchioni – and it is composed by fifteen pieces to promote animal welfare and environmental protection, which are all written and interpreted by artists of national fame, such as Daniele Silvestri, Assalti Frontali, Max Manfredi, Têtes de Bois and Alessio Lega. Five songs are dedicated just to the bear. Donations to receive this CD will be fully used by Salviamo l’Orso to implement conservation measures to prevent the risk of vehicle-wildlife collisions on roads where bear crossings often occur. These roads in the last five years costed the lives of five precious individuals of this critically endangered population of Apennine bears. You can order this CD prior to a minimum donation of € 25 for residents in Europe (shipping included). Please, write to us to order your copies.